Kara Manke at UC Berkeley News highlights the collaborative team’s development of CRISPR-Chip. 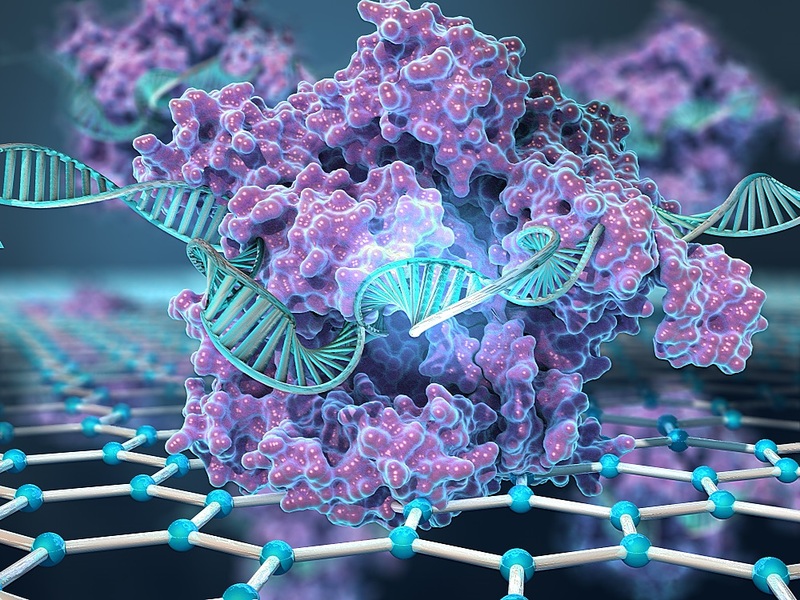 A team of engineers at the UC Berkeley and the Keck Graduate Institute (KGI) of The Claremont Colleges combined CRISPR with electronic transistors made from graphene to create a new hand-held device that can detect specific genetic mutations in a matter of minutes. The device, dubbed CRISPR-Chip, could be used to rapidly diagnose genetic diseases or to evaluate the accuracy of gene-editing techniques. The team used the device to identify genetic mutations in DNA samples from Duchenne muscular dystrophy patients.